Answer: In Rhode Island, Premises liability pertains to the area of law, which attempts to hold a real estate owner or the person in possession of the real estate liable as a result of an accident causing injuries to a person who was using the property. A premises liability case is a type of personal injury case. The broader term of Premises liability also encompasses “slip and fall” or “trip and fall” personal injury accidents. A premises liability claim typically involves the real estate owners or occupants failure to properly maintain the premises in a safe manner. It can also involve failure to fix an unreasonably dangerous conditions on the property of which they either knew or should have known about. The area of premises liability is not just limited to slip and fall but also includes: asbestos exposure, mesothelioma, lead paint exposure, dog bites, Inadequate security measures enabling assaults, Sidewalk or roadway defects, Poorly lit stair cases, falling debris, falling merchandise, or hanging hazards, carbon monoxide leaks, iced entrance ways, slippery or obstructed floors, electric shock due to exposed electric wiring. What are the most frequently pursued personal Injury / premises liability / slip and fall cases in Rhode Island (RI)? 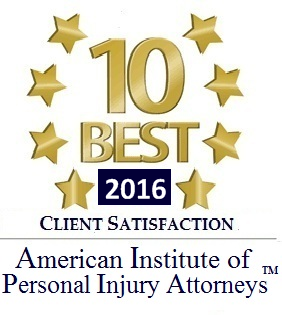 I believe that slip and fall, personal injury cases, are the most frequently filed type of premises liability lawsuits in RI. Many slip and fall accidents are caused by substances or foods such as water, liquids, foods, fruits, grapes, vegetables, condiments, salad, ice, slush and or oil located on the floor. The substance could be slippery or even sticky. Some slip and falls are caused by uneven surfaces, holes in the floor or defective conditions on the floor or stairs. Where do most slip and fall cases occur in Rhode Island.? Slip and falls most frequently occur in restaurants, supermarkets, driveways, entranceways, porches, department stores, sidewalks, grocery stores, banks and hospitals. Any owner of property and certain occupiers of the property may be held liable for premises liability including but not limited to corporations, Limited Liability Company (LLC), partnerships, trusts, sole proprietorships, government entities such as cities, towns, or the state itself. Many of the slip and fall cases are a result of food or liquid on the floor of a supermarket or restaurant. Slip and fall claims also can result from a landowner or occupier failing to take adequate steps to shovel snow, clear ice from an entranceway, remove ice from a sidewalk, driveway or parking lot. Children and the elderly are more likely to slip and fall. Is it more difficult for them to recover damages for their injuries, medical bills, and pain and suffering? Answer: No, In Rhode Island you take the injured party as you find them. As far as liability is concerned, Rhode Island law does not differentiate solely based on age or pre-existing conditions. Even people who aggravate an existing injury have a right to compensation, if negligence can be proved. Property owners owe everyone who lawfully comes upon the premises (with exceptions for trespasser) a duty of due care. Everyone with the exception of trespassers should expect that the premises is maintained reasonably in a relatively safe manner. So long as the injuries are caused by the negligence of a person or entity, the injured person has the right to seek damages. Keep in mind, that if the injured person was acting carelessly or not paying proper attention and that contributed or partially caused the accident than there may be comparative fault involved. Comparative fault is described below. Answer: Comparative negligence is the doctrine used in personal injury accidents in Rhode Island. Comparative negligence is a question of fact that a jury must determine. The jury must figure out what percent each party involved in the accident is at fault for the accident. In Rhode Island, even if an injured person is 99 percent at fault for an accident they are still eligible to obtain damages of 1 percent from the negligent landowner, corporation or person. You should contact a Rhode Island Personal injury lawyer / attorney to obtain an initial opinion as to whether or not there was comparative fault involved. 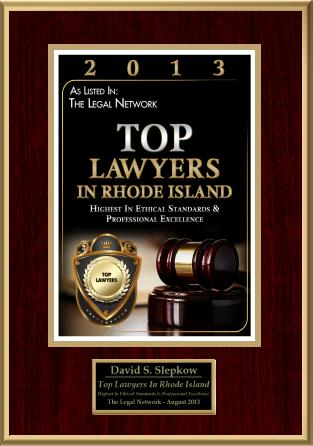 David Slepkow is a Rhode Island (RI)Lawyer / Attorney concentrating in divorce, family law, restraining orders, child support, personal injury law, car / auto / automobile accidents, slip & fall, child custody, criminal law and visitation. 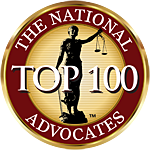 David has been practicing since 1997 and is licensed in Rhode Island, Massachusetts and Federal Court. Free initial consultations. Credit cards accepted.